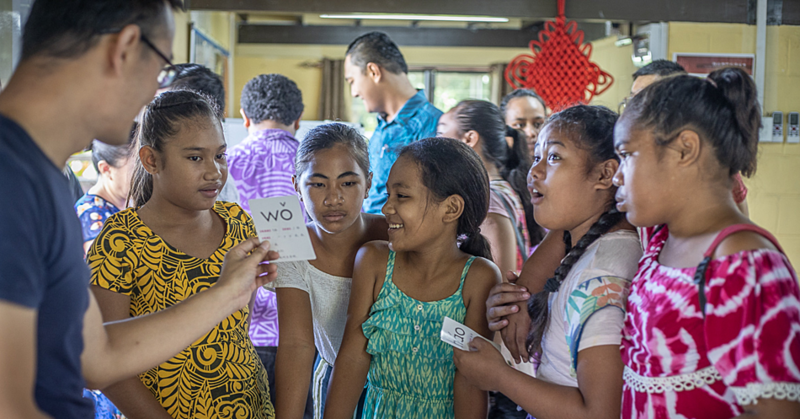 The digital farmhand is a developing science technology that could revolutionise the profitability and sustainability of small-scale row crop farming in Samoa. A field trial was carried out yesterday by a group of engineers from the University of Sydney, Australia at Charlie Ah Liki’s commercial farm in Tapatapao. 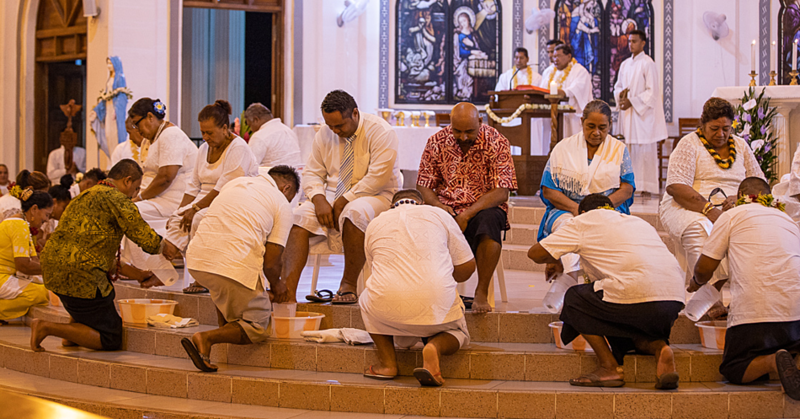 The group is currently investigating further field trials in Fiji and Samoa this year after finding that their initial field trial in Indonesia showed great insights in the challenges faced by farmers in developing countries. Lead Engineer for the Digital Farmhand project from the university’s Centre for Field robotics, Muhammad Esa Attia, said the robot was made to improve food and nutrition security for row crops farmers in Australia and abroad. He pointed out that the robot on display is not the end product but rather an evolving model where Samoan farmers at every level can draw elements from the technology that will suit their specific needs. “The whole idea of this project is we want to develop a platform where can empower small farmers and in order to do that we have to look at the design of this robot from the ground up. 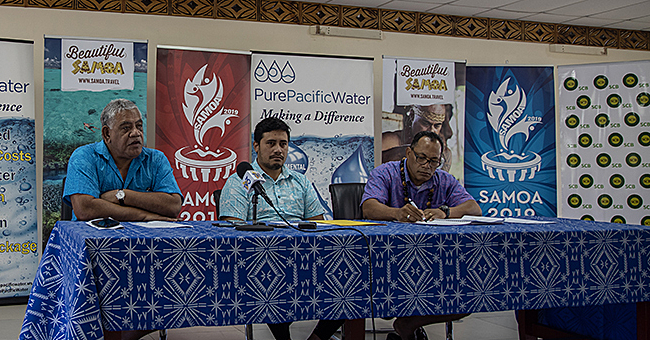 “Also get an understanding of where the key points are for small farmers and test how we can make something sustainable like this for Samoa what elements of the technology we can draw out of the robot. “Some farmers are subsistence farmers, and then farms like Ah Likis are a full blown commercial operation, so it’s about finding solutions that follow these different levels of farming. 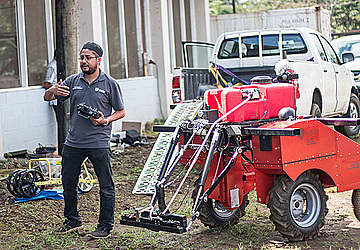 By me taking the robot into Samoa, I’m showing what that future could be, but at the same time show potential farmers that if we think of this problem in a different way, we can take some elements from this robot and apply it to your farm,” Mr. Attia said. Among its multiple features, the design of the platform is based on the use of low cost sensors, computing and manufacturing techniques, which will allow the farmer to easily maintain and modify the platform to suit their needs. The platform also has an actuated standard three-point hitch mechanism that allows various implements to be towed by the platform, similar to a tractor. “This is not a commercial product, this is a research product, it’s all hand built. “The way we have designed it and manufactured the product is that you can use low cost manufacturing techniques, for example if I damage one of the panels, I could go to a local metal cutting place here and they could cut out a replacement panel rather than having things sent out to the states or Australia where things need to be fixed. “If we can make the platform in such way that most of the elements that could potentially need replacing could be done here,” he added. Building and operating such advanced scientific technology is going to require certain specialist skills, which is going to change how farmers look at hiring their workers in the future. “I mentioned before that we are looking at the I.C.T. and education requirements to get an understanding of what the level of the I.C.T. and education level is to get an idea of where they are at and whether or not they have the skills set to maintain a platform like this and if not how do we make things simpler to cater for that -we are definitely looking into that,” Mr. Attia added. The Digital Farmhand is modular and can be quickly dismantled for transport. The design allows the robot to be easily deployed in rural areas. The system is adaptable to small-scale farmer’s individual needs and reduces time spent on laborious farm duties such as weeding, spraying and crop monitoring. The Samoa Farmers Association hosted the demonstration and is assisting the team form the Australian Centre for Field Robotics.